Carlisle Food Service provides with this kitchen brush. This Sparta Hercules kitchen brush has an 8" handle and stiff nylon bristles. The white polypropylene construction is lightweight, yet break-resistant and extends to the thick block handle giving you a comfortable secure grip. 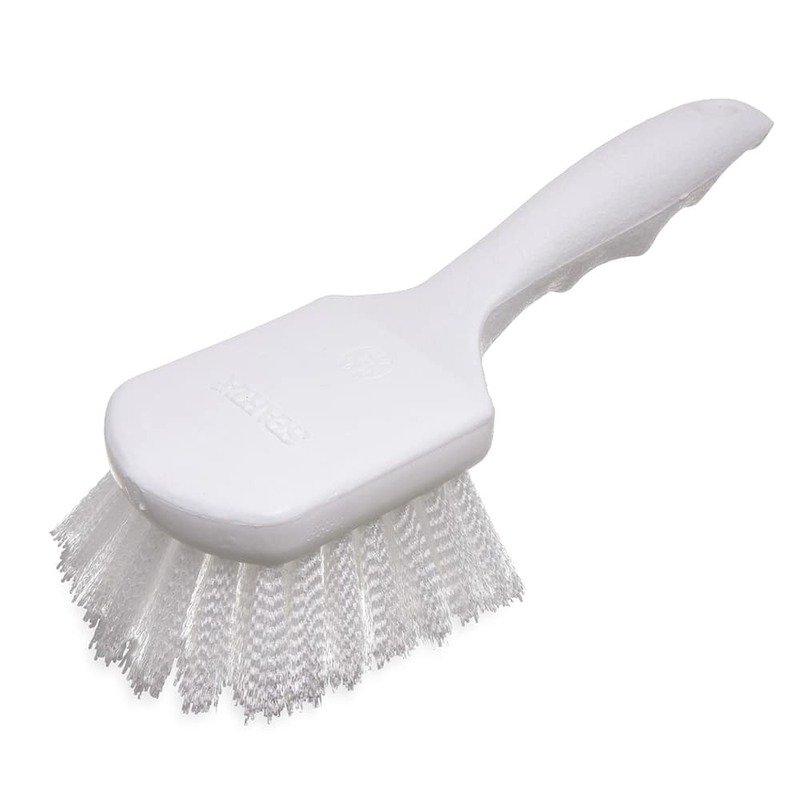 For the toughest cleaning jobs, the bristles are rugged and stiff giving much more scrubbing power. Try this kitchen brush out in your restaurant today.